감성적 사운드의 결정체! 겨울의 멜로디! 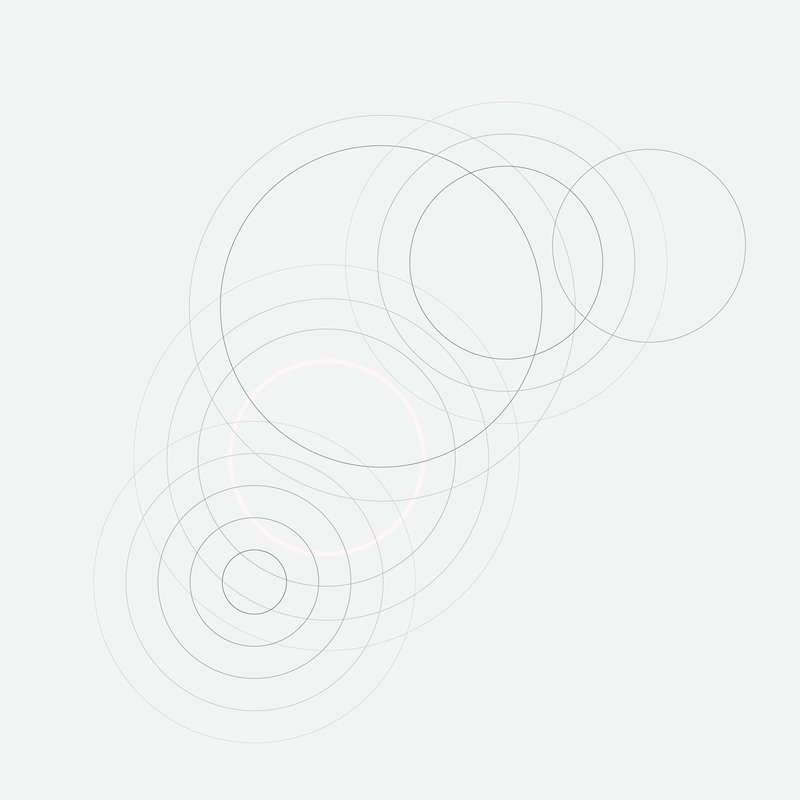 "Electric Planet Five" 의 신작! 차가움과 따스함이 공존하는 EP5만의 무드를 만든다. 영화 속 한 장면을 보고 있는 듯한 착각을 불러 일으키는 EP5의 음악은 겨울과 가장 잘 어울리는 선곡 중 하나이다. 추운 겨울 나를 감싸주는 BGM으로 추천! 세련된 감성적 사운드와 중독성 있는 멜로디! 2016년 상반기에 발표한 정규앨범 이후 매달 꾸준히 싱글 발매중인 일렉트릭 플래닛 파이브의 이번 신곡 “After Dark” 는 피아니스트이자 작곡가인 E.P.5 만의 감성이 잘 녹아있는 다운 템포의 곡이다. 전반적으로 흐르는 섬세한 피아노 선율은 빈티지한 무드를 만들고 심플하면서도 중독성 있는 멜로디가 귀를 사로잡는다. 재즈와 일렉트로니카 사운드를 적절히 배열하여 EP5만의 유니크한 사운드를 완성, 특히 후반부에 흐르는 즉흥연주는 놓치지 말아야 할 EP5의 곡들의 포인트! Electric Planet Five ”After Dark” ! 2016년 하반기 필청 트랙으로 추천 ! 2016년 상반기에 발표한 정규앨범 이후 꾸준히 싱글 발매중인 일렉트릭 플래닛 파이브의 이번 신곡 “Dive In” 은 피아니스트이자 작곡가인 E.P.5 만의 감성이 잘 녹아있는 다운 템포의 곡이다. 미니멀한 사운드의 세련된 피아노 코드웍으로 시작하여 절제된 비트와 그루비한 베이스가 곡 전체의 사운드를 이끈다. 전반적으로 흐르는 노이즈는 빈티지한 무드를 만들어 다른 공간에 와 있는 듯한 착각을 불러 일으킨다. 이번 자켓의 푸른 빛의 바다와도 잘 어울리는 사운드! 흐르듯 이어지는 즉흥연주와 몽환적인 사운드는 꿈을 꾸듯 우리를 이끈다. 전작 “Tobi””After Winter”의 피아노 연주곡을 기다린 팬들에게는 반가운 소식이 아닐수 없다. 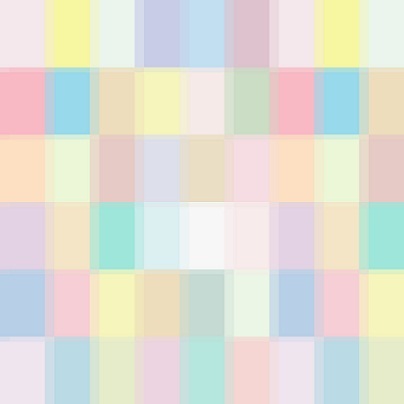 E.P.5의 ”Dive In” ! 2016년 하반기 필청 트랙으로 추천 ! 2016년 상반기에 발표한 정규앨범 이후 꾸준히 싱글 발매중인 일렉트릭 플래닛 파이브의 이번 신곡은 제목에서 알수 있듯 몽환적인 느낌의 달콤한 자장가이다. 선율과 절제된 전자음이 잘 어우러져 낭만적인 분위기의 꿈속으로 이끈다. 이번 싱글 에는 원곡 외에 피아노 솔로 버전과 일렉트릭 피아노 버전이 더해져 완성도를 더했다. 특히 피아노 솔로 버전은 노이즈와 피아노 톤이 빈티지 하면서도 고독한 분위기를 자아내 마치 영화의 한 장면을 떠오르게 한다. E.P버전의 꿈결 같은 사운드도 놓치지 말아야 할 트랙! 자신만의 색깔을 보여주고 있는 E.P.5 ! 매달 말에 발매되는 신보가 기다려진다. 늦은 밤 잠들기 전 필청 트랙으로 추천 ! 2016년 상반기에 발표한 정규앨범 이후 꾸준히 싱글 발매중인 일렉트릭 플래닛 파이브의 이번 신곡은 미니멀한 댄스뮤직이다. 이번 신곡 “Night Walk” 는 미니멀 하면서도 긴장감 있는 전개와 구성으로 유니크한 사운드를 만들어낸다. 언제나 기대를 저버리지 않고 귀를 즐겁게 한다. 곡 전반에 흐르는 밤의 분위기와 몽환적인 사운드는 듣는이의상상력을 자극시킨다. 특히 환상적인 즉흥연주와 다이나믹한 비트는 우리의 몸과 마음을 자연스레 흔들게 한다 . 미니멀한 멜로디와 역동적인 비트가 만나 진취적이면서도 감성적인 사운드를 만들어낸다. E.P.5의 Night Walk ! 늦 여름 밤의 필청 트랙으로 추천 ! 2016년 상반기에 발표한 정규앨범으로 꾸준히 사랑받고 있는 일렉트릭 플래닛 파이브는 작곡, 연주, 프로듀싱을 혼자 소화해내는 실력 있는 아티스트이다. 전작 "녹색 여름 안에서"가 청량감의 초여름의 느낌이라면 이번 싱글은 본격적인 여름느낌의 감각적인 일렉트로닉 뮤직이다. E.P.5의 EDM 은 선명한 멜로디와 화성, 감각적인 사운드로 흔히 생각하는 이디엠 이라는 장르의 편견을 버리게 한다. 전작 Friends 에서 보여준 E.P.5 만의 EDM 의 매력을 아는 분들이라면 이번 신보는 반가운 소식이 아닐 수 없다. 신디사이저의 팝적인 멜로디와 다이나믹한 리듬감이 우리의 귀를 즐겁게 한다. 꾸준히 자신만의 세계를 다양하게 보여주고 있는 뮤지션 E.P.5의 사운드에 몸을 맡겨보자! 최근 정규작을 발표한 E.P.5는 자신만의 색깔을 유지하면서도 새로운 사운드의 변화를 만들어가는 아티스트이다. 이번 신보는 여름 밤에 걸맞는 매력적인 일렉트로니카 두곡이다. 같은 곡에서 나온 서로 다른 분위기의 두곡으로 이루어진 앨범이다 몽환적인 분위기를 담고 있는 이번 신보에서는 중독성있는 기타 리프가 센치한 분위기를 이끌고 매력적인 신스사운드가 우리의 청각을 자극한다. 후반부에 나오는 키보드의 환상적인 즉흥솔로는 이곡의 포인트! 두번째 트랙에서는 읖조리는 듯한 매력적인 보이스와 비트의 변화로 또 다른 공간으로 우리를 이끈다. 이 계절 ! E.P.5의 유니크한 녹색여름으로 떠나 보자! 이 겨울의 끝에 빛나는 감동! 2016년 상반기 반드시 주목해야 할 앨범! 일렉트릭 플래닛 파이브의 첫 번째 정규작! 일레트릭 플래닛 파이브(Electric Planet Five)는 작곡가이자 피아니스트인 이지선의 원맨프로젝트로 어쿠스틱 피아노 사운드와 일렉트로니카 사운드를 오가는 다양한 시도와 뛰어난 작곡능력을 통해 꾸준히 사랑 받고 있는 뮤지션이다. 2012년 모든 트랙의 작곡 및 편곡 연주 프로듀싱까지 직접 해낸 데뷔작 [Electric Planet Five EP]를 시작으로 지금까지 [After Winter], [Yellow], [Friends] 등 꾸준히 싱글을 발표해 왔다. 아날로그와 디지털을 넘나드는 EP5(Electric Planet Five)의 음악에는 놀라운 감성과 상상력이 가득하며, 언제나 듣는 이로 하여금 한편의 영화를 보는 듯한 착각을 불러일으킨다. 이번 앨범에는 피처링에 루싸이트 토끼, 베이스에 송인섭트리오의 송인섭, 그리고 전작 [겨울밤]에서 기타로 참여했던 재즈기타리스트 JY Lee가 믹싱과 마스터링으로 참여해 한층 더 완성도 있는 사운드를 완성해냈다. 특히 주목할 점은 총 25곡의 방대한 곡들이 전혀 다른 스타일의 두 장의 CD로 나뉘어 발매되었다는 사실인데, 첫 번째 CD에는 피아노 솔로 트랙들, 두 번째 CD에는 일렉트로닉 요소가 부각된 리드미컬한 트랙들이 수록되었다. 결코 음을 낭비하지 않는 미니멀한 멜로디와 탁월한 재즈적 화성이 주를 이루는 가운데 다크하면서도 매력적인 그녀만의 피아노 솔로 곡들이 안내하는 미지의 공간은, 이내 강렬하고 세련되었지만 때때로 따뜻한 특유의 일렉트로니카 사운드로 채워지며 청자의 상상력을 무한히 증폭시켜 나간다. 2016년 상반기에 반드시 꼭 들어봐야 할 추천작! Be Ready to be Inspired This Winter! Don't Miss Out Electric Planet Five's New Album of 2016, 'SPACE, TIME AND MUSIC'! 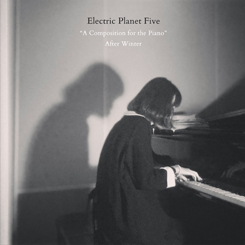 Electric Planet Five (EP5) is a solo project by both composer and pianist Jisun Lee, well known for her musical composition and experiment into various sounds from acoustic piano to electronica. Having composed, played, and produced all her music with her debut album 'Electric Planet EP' in 2012, EP5 is announcing her new album following previous singles "After Winter", "Yellow", and "Friends". Electric Planet Five's music is full of emotional sensitivities and imagination as her music crosses into both analog and digital sounds. 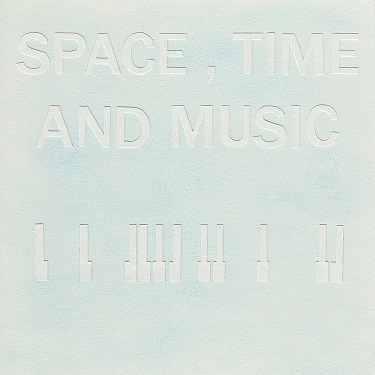 The new album is available as a 25 track two-CD featuring not only piano solo but also electronica tracks. Be prepared to be mesmerized by EP5's minimal melodic yet jazzy harmonic solo piano, as well as strong and sophisticated warm electronic sounds. Featured guests include vocalist Yejin Cho from Lucite Tokki and bassist Song Inseop from Song Inseop Trio. The album was mixed and mastered by jazz guitarist JY Lee who also took part in EP5's single, "Winter Night". Electric Planet Five의 2016상반기 신작! 듣는 순간 빠져드는 아름다운 멜로디! 이 겨울을 함께 할 어쿠스틱 사운드! 실력파 뮤지션 Electric Planet Five 의 어쿠스틱 사운드! 특히 이번 싱글에서는 재즈 기타리스트 JY LEE가 참여해 한층더 완성도 있는 사운드를 들려주고 있다. 이 계절에 어울리는 고요한 겨울의 사운드를 섬세하고도 따뜻한 그녀의 피아노연주와 JY Lee의 깊이 있는 기타연주로 우리의 마음을 사로잡는다. 전작 After Winter의 어쿠스틱한 사운드에 이어 이번 싱글에서는 전자음을 배재하고 기타와 베이스를 더하여 아름다운 트랙을 만들어냈다. 들으면 들을수록 빠져드는 겨울의 멜로디가 우리의 감성을 일깨운다. Electric Planet Five는 자신만의 색깔을 유지하면서 꾸준한 사랑을 받고 있는 뮤지션이다. 2월에 발표되는 정규 앨범이 기대된다. 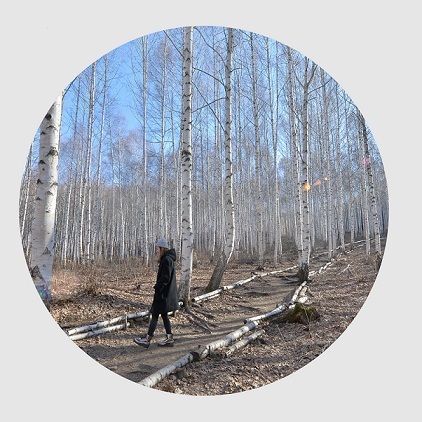 Electric Planet Five, a talented young musician who has showcased a delicate distillation of jazz and electronic, now presents an acoustic piano composition that gracefully captures the scenary of winter. In a collaboration with JY Lee, a famed jazz guitarist, she blends the acoustic piano with a minimal arrangement of guitar and bass to create a melody that borders upon the scenic atmosphere of her previous release “After Winter.” With its delicate sketch on the serene beauty of the season, Winter Night will deliver a truly captivating experience to the listeners as a haunting prelude for her first regular album coming up in this February! Electric Planet Five의 2015하반기 신작! 이 여름에 걸맞는 세련된 댄스뮤직으로 돌아왔다! 한번 들으면 중독 될수 밖에 없다. 다양한 장르를 넘나드는 Electric Planet Fives는 작곡, 연주, 프로듀싱을 혼자 소화해내는 실력있는 아티스트이다. 매번 유니크한 자켓과 영상으로 음악의 이미지를 표현해내는 뮤지션 인만큼 신작 Friends의 뮤직비디오도 주목 할만하다. 비디오 아티스트“OKIE”와 콜라보레이션 한 뮤직비디오도 놓치지 말자! 이 여름 놓치면 안되는 싱글임에 틀림이 없다! 그녀의 정규작이 기다려진다. Further advancing her previous releases that opened up a whole new musical venue for showcasing a unique blend of European-flavored electronica and lyrical acoustic piano performance, EP5 now delivers a buoyant piece of music portraying colorful impressions and inspirations from people, or friends, around her. With its hauntingly beautiful harmonic progression and melody, “Friends” will surely add to your must-listen tracklist for this summer, filling us up with absolute chills until the release of EP5’s forthcoming full-length original album! EP5 is a talented pianist, composer and producer who’s been in continuing pursuit of her own unique style across many different genres of music. 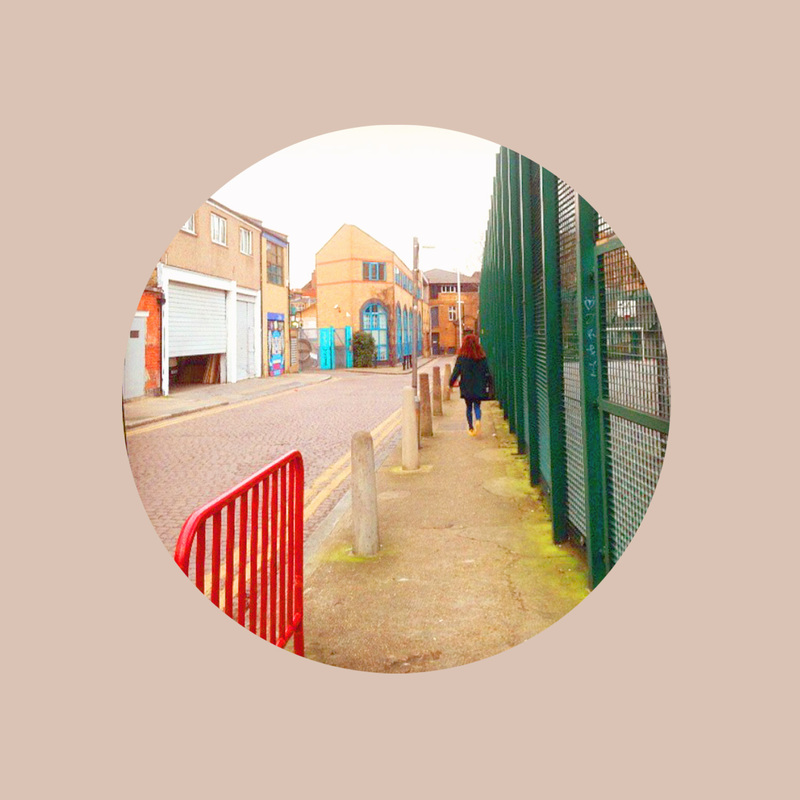 EP5 has also shown a great deal of passion for incorporating visual arts into her musical compositions and other lines of work including album cover designs. So don't forget to check out Friends M/V where EP5 and video artist “OKIE” collaborated on piecing melodies and images together into a masterful work of art! Electric Planet Five 의 2014년 하반기 신작! 앞서 발표한 싱글 “After Winter”에 이은 본작 ”Yellow”는 말 그대로 반짝이는 노란 빛깔의 모던한 연주곡이다.재즈 연주에 일렉트로닉 비트를 더해 기분 좋은 에너지를 만들어낸다. 중독성 있는 멜로디 전개와 긴장감 있는 사운드는 리스너들을 한번에 사로잡는다. 피아노연주에 일렉트릭 사운드를 적절히 배치시켜 감감적인 트랙을 만들어낸다. 전작에 비해서 밝고 그루브감이 있어 광고음악에도 어울릴법한 분위기를 자아낸다. 자신만의 독창적인 음악적 색깔과 그루브한 일렉트릭 비트에 재즈피아노가 녹아 들어가 완성도 높은 작품을 만들어냈다. 다양한 장르를 넘나드는 Electric Planet Fives는 작곡, 연주, 프로듀싱을 혼자 소화해내는 실력있는 아티스트이다. 곡에 걸맞는 노란색 피아노 모형의 유니크한 쟈켓도 돋보인다. 원맨 프로잭트 Electric Planet Five! Electric Planet Five’s New Single for Fall & Winter ‘14! Following “After Winter”, Electric Planet Five’s new single “Yellow” is an instrumental piece of glittering yellow. The electronic beat along with her seamless jazz performance promises to brings you positive energy. The addictive melody and sounds of tension promises to grasp your ears. The electric sounds in between the piano performance creates a sensual track. Following her previous single, “Yellow” adds a brighter color and a groovy rhythm that you’d hear in TV ads. 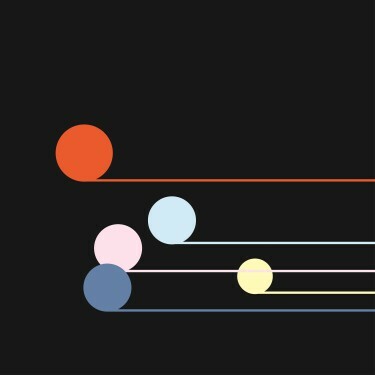 Electric Planet Five’s unique musical color and electric groove along the jazz piano creates a complete piece of work. The new album artwork stands out. Electric Planet Five is a talented artist who works across various music genres as well as composing, performing, and producing. 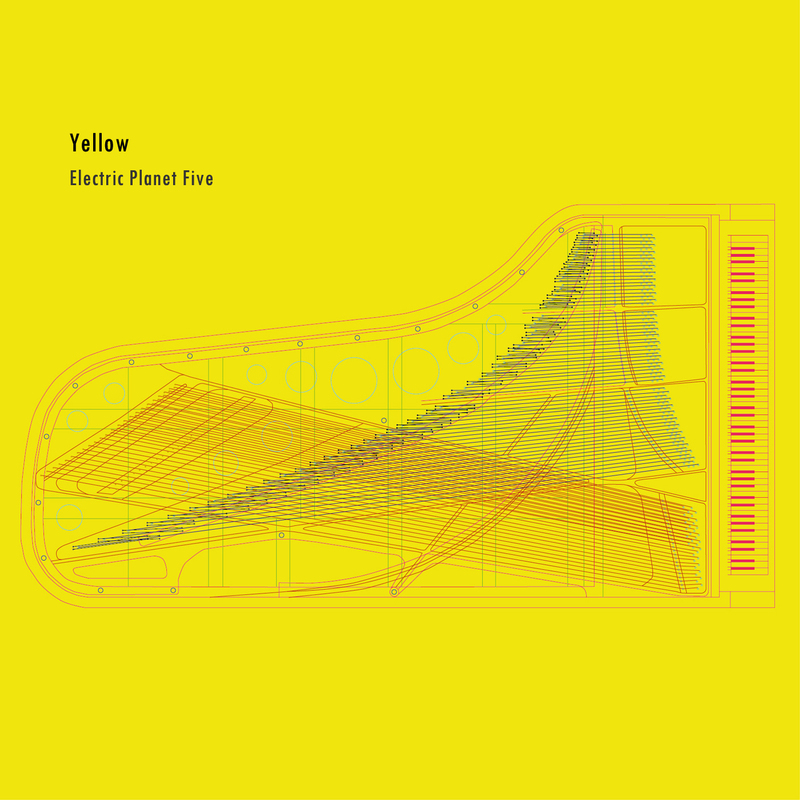 Let us experience Electric Planet Five’s unique music with her new single, “Yellow”. 2년만에 발매되는Electric Planet Five 의 신작! 2014 상반기에 선보이는 최고의 화제작! 재즈와 일렉트릭 사운드의 공존! 원맨 프로젝트 Electric Planet Five의 2014년 신작! 전작과는 다른 어쿠스틱한 분위기를 자아낸다. 피아노와 콘트라베이스가 전자음과 절묘하게 어우러져 아름다운 하나의 작품을 만들어낸다.한번 들으면 잊을 수 없는 중독성 있는 멜로디와 절제된 일렉트릭한 사운드는 모두의 감성을 자극한다. Electric Planet Five's new album after 2 years! The much-talked about, sensational album of 2014! The co-existence of jazz and electric sound! The latest album from one-man project Electric Planet Five! 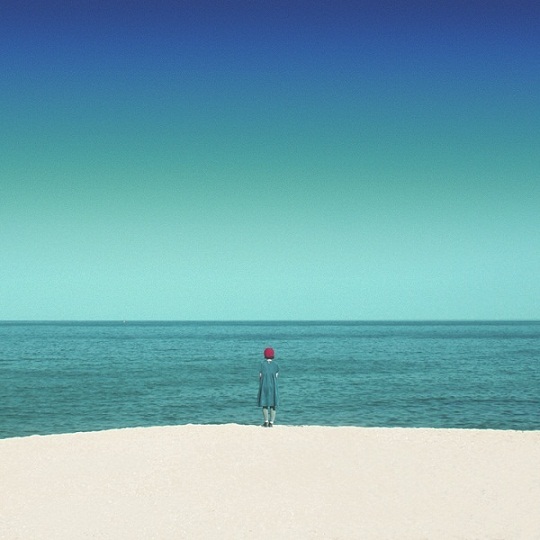 As seen from the cover, the piano is at the forefront of this album and the album exudes a different, acoustic atmosphere from E.P.5's previous work. The piano, contrabass and electronic sound are exquisitely mixed to create a beautiful piece of music. An unforgettable and addictive melody combined with the restrained electronic sound promises to stir your emotions. Song In-seop from the Song In-seop trio joins as the contrabass to add to the high quality of sound. E.P.5's music perfectly infiltrates space and scenery. This album evokes a peaceful beach at dawn or the illusion of being immersed in a beautiful nature somewhere. 'This one song is enough' describes the highly praised track 'After Winter'. 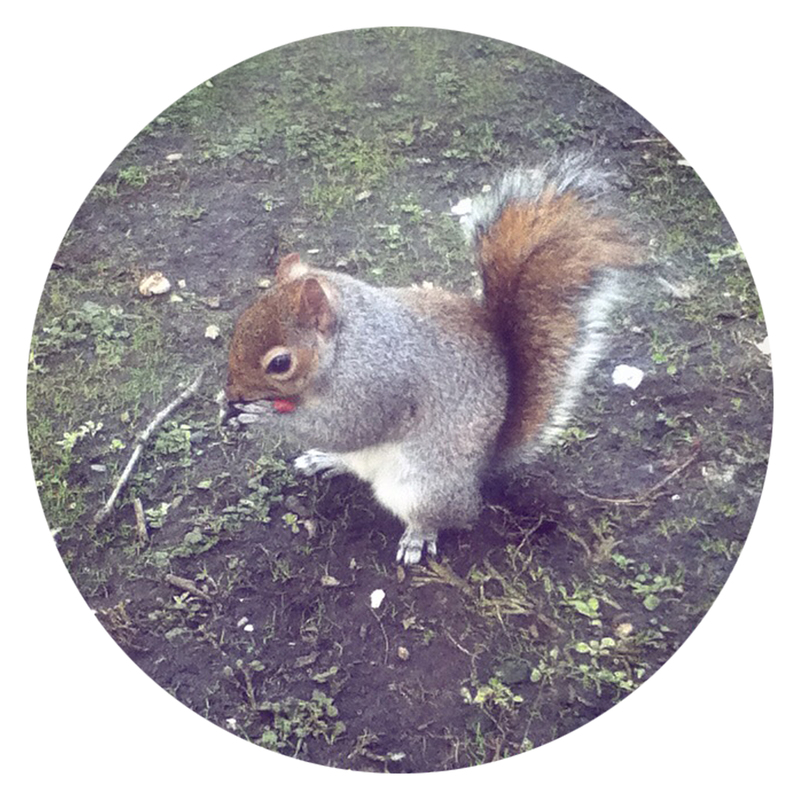 As the title suggests, it portrays a more mature sound after winter has passed. 여성 아티스트 이지선의 원맨 프로젝트 Electric Planet Five! 노래하는 별 EP5로 초대하는 첫 미니 앨범!! 원맨 프로젝트 Electric Planet Five의 2012년 미디 앨범! 이번 신보는 우주비행이라는 타이틀곡에 걸맞게 신비롭고 몽환적이며 때로는 우주적 공간감과 함께 이국적이며 유니크한 일렉트로닉 사운드를 들려주고 있다. 일렉트로닉 사운드를 기반으로 하여 굉장히 세련되지만 한편으로는 바다와 바람, 하늘과 같은 자연을 느낄 수 있다. 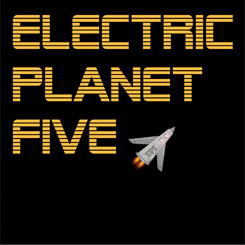 Electric Planet Five’s mini album of 2012! The new album, titled ‘Space Flight’, introduces EP5’s mysterious and dreamy journey into the vastness of outer space with her exotic and unique electric sound. While electric instruments may sound sophisticated, expect to feel the very sounds of what nature has to offer... the sea, the wind, and the space around us! 여기에 독특한 구성, 다양한 효과와 시네마틱한 사운드는 마치 하나의 스토리를 갖고 있는 듯 청자의 상상력을 자극한다. Along with EP5’s unique composition, effects and added cinematic sounds, listeners are free to imagine their own stories into space. EP5는 멜로디가 살아있는 읽게트로닉을 추구하고 다양한 음악에 영향을 받아 재즈와 락, 라운지적인 요소들도 느낄 수 있다. 전체적으로는 몽롱하고 따뜻한 일렉피아노의 빈티지한 사운드와 중독성 있는 베이스라인, 신디사이저와 다양한 효과음들이 어우러지고 때로는 오케스트라와 역동적인 비트가 다이나믹함을 더해주고 있다. 모두 EP5로 비행을 시작해보자. 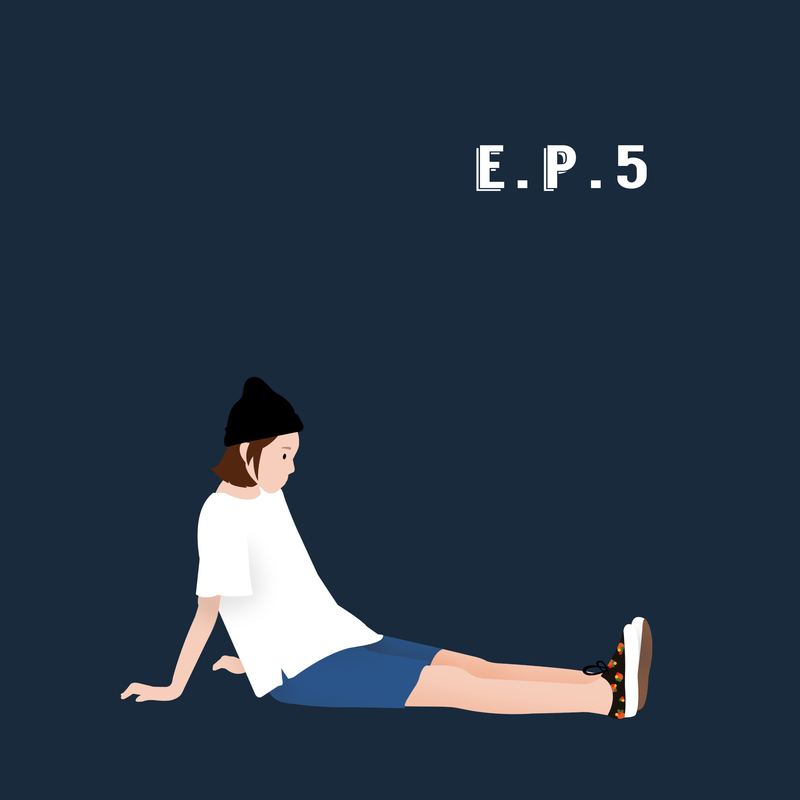 EP5’s electronic melody combines multiple genres of music such as jazz, rock, and lounge. Expect to hear EP5’s selection of synthesiser effects and dynamic beats of an orchestra, on top of EP5's subtle and warm vintage sounds of electric piano in the baseline. Be prepared for lift-off into space with Electric Planet Five!